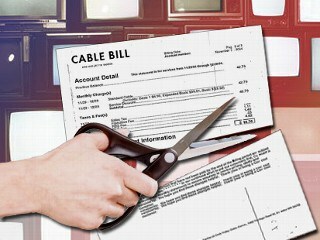 Cord-cutting is taking an increasing toll on pay TV companies as 1.2 million customers canceled their accounts in the last three months, according to industry research firm Kagan. At least 367,000 customers said goodbye to satellite TV company Dish in the third quarter. DirecTV lost more than 300,000 customers, delivering the worst quarter on record for satellite television since the services launched. Combined, more than 726,000 customers removed their satellite dishes in the last three months. Cable companies have lost almost 1.1 million TV customers so far this year. Telco TV companies reported losses of about 94,000 customers, mostly as a result of 63,000 Verizon customers pulling the plug. As competition for streaming TV services continues to heat up, some companies have seen their growth slow. Dish’s Sling TV and AT&T’s DirecTV Now were among the worst impacted, the latter likely the result of rate hikes in 2018. Hulu with Live TV, YouTube TV and PlayStation Vue were all reported up by Kagan, picking up subscribers looking for cheaper and smaller television packages. The residential pay TV penetration rate stood at 76.2% as of Sept. 30, which includes traditional cable, satellite, and streaming paid television services. Now, we need numbers aggregated with and without streaming services, since they’re internet based as opposed to CATV / SAT. This difference is more informative than lumping them together. Also, the idea that Hollywood movie houses have chased and smothered customers first in their own theaters, with ever increasing prices.. then, once they stopped going and started watching CATV / SAT at home.. they pounced on them there and started raising prices soon after. This happened again when people started streaming online and downloading movies.. First they filled the court system with lawsuits, many against kids younger than 12 yrs old, then started throttling streaming services. Hollywood owning the TV networks is bad enough.. but ISPs? It’s just criminal that we’re allowing them to be the phone company and post office as well.. How would they react in the 50’s and 60’s if phone companies were listening in on calls and selling any information gleaned from the conversations? Or if the Post Office was doing the same with our mail? This is precisely what they do on a daily basis. Ridiculous.